Offered with NO CHAIN- A four bedroom detached family home on the desirable Cumberland Park development- set within desirable school catchments including Turnfurlong, Grammar and High Schools- comprising entrance hallway, cloakroom, lounge, dining room, kitchen, family bathroom, four bedrooms, gas central heating, double glazing, double garage, double block-paved driveway, front and rear gardens, viewing recommended. Double glazed window to front aspect, radiator, gas fireplace, television point, coving to ceiling, archway to dining room. Double glazed window to rear aspect, coving to ceiling, radiator, double glazed door to rear garden. Narrowing to 6' 4'' (1.93m). Double glazed windows to rear and side aspects, a range of storage cupboards at base and eye level, rolled edge work surface areas, space for cooker, stainless steel single drainer sink unit with mixer tap over, plumbing for a washing machine and dishwasher, wall mounted gas boiler, utility sink, radiator, double glazed door to rear garden. 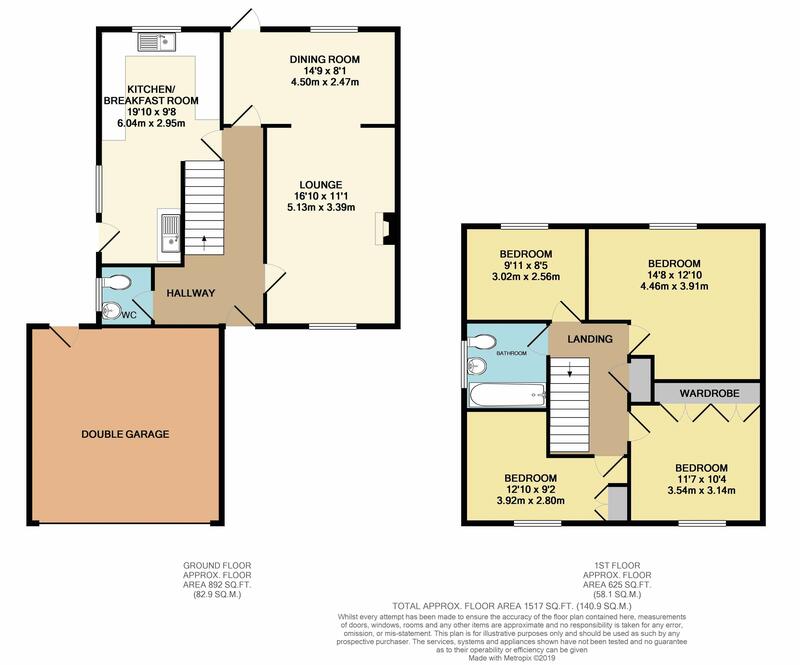 Access to loft space, doors to bedrooms, bathroom and airing cupboard. Double glazed window to front aspect, radiator, a range of built in wardrobes. Obscure double glazed window to side aspect, a three piece suite comprising a panelled bath with shower attachment over, pedestal wash hand basin, low level w.c., radiator. Block paved double driveway to double garage, electric metal up and over door, power and light points, door to rear garden. Patio area, laid to lawn, flower and shrub borders, gated side access.